Performers of all ages will provide entertainment at the bazaar. The Okinawa Association of America will host its Annual Bazaar on Sunday, Oct. 12, from 11 a.m. to 4 p.m. at the OAA Center, 16500 S. Western Ave. in Gardena. This is the only annual event in Southern California that celebrates Okinawan culture, bringing the community together for an afternoon of delicious food and soulful entertainment. 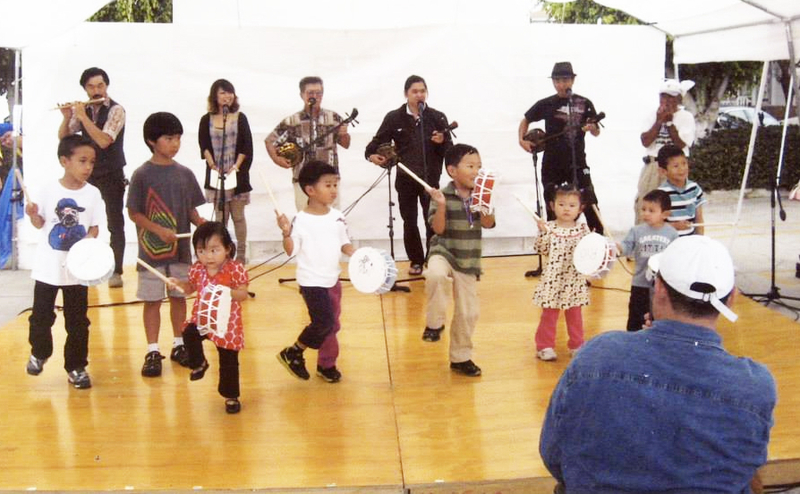 The OAA, a cultural non-profit organization formed by Okinawan immigrants over 100 years ago, also uses the bazaar as its annual fundraiser for events, classes, and facility maintenance. Food booths include tasty favorites such as fresh sātā andāgī (the best “Okinawan dango” in town), Okinawa soba, teriyaki combination plates, and Spam musubi. In the mood for something new? Try ashitibichi (pig’s feet), rafute (braised pork belly), or taco rice (literally taco ingredients over rice; a popular fusion dish in Okinawa). Take your lunch to go or stay to enjoy the all-day entertainment program. Performances include traditional Okinawan music and dance, a Hawaiian band, hula dancing, and martial arts demonstrations. The bazaar has featured seasoned and up-and-coming artists alike with an emphasis on promoting those in the Okinawan community. Want to try your luck at winning two tickets to Disneyland? Participate in the $1 raffles. If you want to start your holiday shopping early, OAA will be selling a limited supply of Okinawan books, CDs, stickers, T-shirts, and tote bags. Kids will have fun playing games (prizes for everyone), making crafts, and learning a little bit about Okinawan culture in the Warabi Eisaa Workshop, where they can make their own Okinawan drum, learn a short choreography, and perform in the entertainment program. Parking is available in nearby residential areas. It is recommended that you arrive early because many popular food and merchandise items tend to sell out quickly.